This book was recommended to me by one of the people who works at my usual Waterstones. She is usually great with her suggestions, she explained the jist of this book and I was intrigued enough to snap it up. As I started to read the physical copy I was really interested in the concept, women have developed an ability/power and it’s enough to shift the balance so that men are no longer on top and the women have the upper hand. However my slump came into play and I ended up putting this down for a few months. I had 6 credits on audible and had a pretty mundane workload this week so I decided to give this another try. The narration was okay but I dont think there was enough variation in tone to differentiate between the characters. As I said above the concept is what made me snap this book up and it was also what made me use a credit on Audible. I think there were some brilliant stand out moments that really painted a picture of how if the tables were turned and the men felt threatened or intimidated in every day life they would really want to talk about these issues instead of brushing them off as unimportant or over exagerated. I also really appreciated that it didn’t make out like everything would be better or resolved by the shift of power. The concept was really strong and was kept up throughout however there was just something a little lacking in the execution and I think it might have had something to do with the writing style. One thing I really loved was how well thought out the descriptions on the power was, explaining a heightening of other senses really brought it to life. However my biggest pet peeve with a book is when it builds heavily toward the ending from the start. When this is done, like in this book, it starts to feel a bit monotonous by the middle. With all the tension and build up I was then a little disapointed by the end. It wasn’t terrible I just feel like if it had started building the tension from the middle so my expectations weren’t as high I’d have appreciated it more. My biggest disapointment with this book though was I felt no connection to any of the characters. Everyone has a different aspect that makes their reading experience awesome and for me I personally need to feel connected in some way to at least one main character so that I can get invested. They all just seemed a littlr too cookie cutter to me, this ones the gangster, this ones the high achiever, this ones the eccentric and none of them ever move out these molds. I feel like a lot of this review is quite negative but I have to say, though I was disapointed, I didn’t hate it. I wouldn’t ever re-read this but I think some of the scenes will have me thinking for years to come. Have you read The Power? What feminist novels have you picked up lately? Any recommendations for my next audio read? I recently read this book, too. I enjoyed it, the concept and its execution, but I think the thing that felt most ‘off’ for me was the sort of second-coming Mother type stuff. 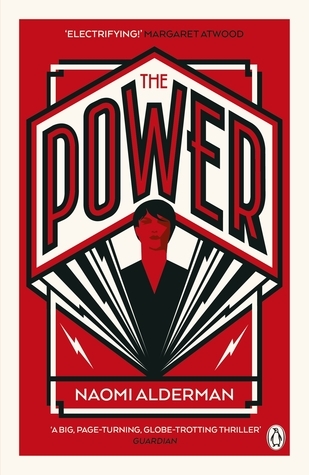 I think the grim picture it painted of how quick women were to learn how to abuse the power was interesting – equality never really seemed to be part of the picture, and I kind of enjoyed that dystopia although it was hard to read at times. I’ve been seeing this book around lately but I didn’t know what it was about. It’s too bad you didn’t like it as much as you’d hoped. Great review!